WordPress has become one of the most well-known website platforms in the world. Many people love this platform because of its flexibility, security and ranges of plugins that one can install to provide additional functionality. However, with many benefits that it offers, WordPress still lacks with many things. If you are a web developer, the information below can be beneficial for you. Here are a few requests for the missing functionality in WordPress; and some workarounds for the meantime. WordPress is equipped with completely redo settings to get the desired output which can be unnecessarily time consuming. This functionality on WordPress is limited to the use of a plugin: Duplicate Post. With a duplicate post plugin, you can “clone” a post or “create a new draft”. The latter copies the post and opens it in a new window for editing. On the other hand, the former creates a new post entirely. You are also able to work with custom post types in this plugin. Unfortunately, not all plugins are compatible and doesn’t necessarily call out these incompatibilities on the front end. As a result, it can cause worst scenario, such as complication from using this plugin can crash your website, so it is important for you to have a backup. If you are planning to create multiple sites in WordPress, it would be particularly helpful to have some functionality that combines all the desired features into a file that could be uploaded to the site you’re building. If you work with clients in a similar industry, you will see that many WordPress websites have the same base features. However, installing /activating the launch list plugins one by one is tedious, so as a solution, you can install WordPress Install Profiles plugins. Once installed and activated, Go to Plugins > Bulk Install Profiles. Furthermore, you can easily add or remove plugins from the list with a default list of plugins. Use the name on the plugin’s URL to add a new plugin, after that, give the list profile a name and download it to your computer. You’ll need to have the WordPress Install Profiles plugin installed and activated on that site, then import the profile you want to install on another website. However, since this plugin hasn’t been updated in many years, there may be compatibility or security issues associated with its use. Site caching supports your site to load faster by storing the website processes in an HTML file to be loaded as needed. That is why page loading is a major factor for ranking in technical SEO. To avoid any server calls, developers wish that WordPress had site caching. Even though you cannot find site caching built into the platform, there are many plugins that can initiate this process, like W3 Total Cache and WP Super Cache. Actually, there are some WordPress hosting companies that offer site caching. However, many find that site caching offered through a web host is more efficient than these plugins, so if that’s an option, don’t install a caching plugin. You can find a lot of form builder plugins, but since most businesses use forms anyway, why not add this functionality to the WordPress core code? Rather than waiting for this functionality missing in WordPress, try an all-purpose contact form plugin like Contact Form 7. With contact Form 7, you can manage multiple contact forms, and you can easily customize form and email content with simple markup. Besides, Contact Form 7 supports Ajax-powered submitting, CAPTCHA, Akismet spam filtering, and other important security factors. Another benefit that you can get is the simplicity to set-up, flexible, as well as it offers customizable default messages, and easily-defined mail messages. In terms of the theming system, WordPress still needs lots of improvement. There are still “sloppy code” and “disastrous mix of business and display logic”. In the current version, you can see that template hierarchy does not take plugins into account. As a result, the plugin has to override the template system, or create a workaround to provide a default template for displaying this custom post type if you have a plugin with a custom post type for movies. The more complex the code base, there is a greater opportunity to improve code practices, eliminate short codes, and fix template hierarchy for a more efficient base theme. In terms of managing tasks, each of these roles has their own specific limits. Many developers suggest it, so that WordPress could allow users to set, specify, or limit what each individual user can do, especially for a multi-author/user site. To overcome this functionality missing, you can use Advanced Access Manager plugin; which manages both frontend and backend access. Even though you can find various plugins available, you have to be careful in choosing the right plugin for your website, since certain plugins may cause your website to slow down. By having an error code, you can identify this, but when it does not, then you have to manually deactivate all files, and then reactivate them one by one in the admin area to determine what is causing the error. However, you have to use a File Transfer protocol (FTP) like Firezilla to backup all plugin files if the error does not allow access to the admin area. Besides, developers can quickly fix issues without needing cPanel/FTP access since you can access files directly from WordPress. Nowadays, WordPress is still the most powerful platform on its own. 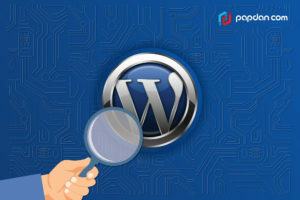 No wonder there are various plugins that have been developed to support the functionality missing in WordPress, even though many developers are still hoping that the issues will immediately get built-in solutions. This entry was posted in Article and tagged business, developer, development, plugin, programmer, tutorial, web developer, website, wordpress, wordpress tips on October 17, 2017 by Mario.